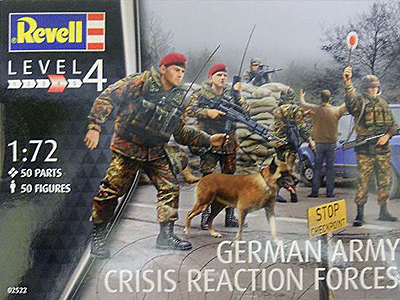 As the name suggests, the German Army's Crisis Reaction Forces get called in when there's a crisis. It is composed of troops from all the troop categories in the German military and forms the backbone of the German contribution to NATO, EU, and UN operations. Currently, these forces are in operation with SFOR in Bosnia and KFOR in Kosovo. 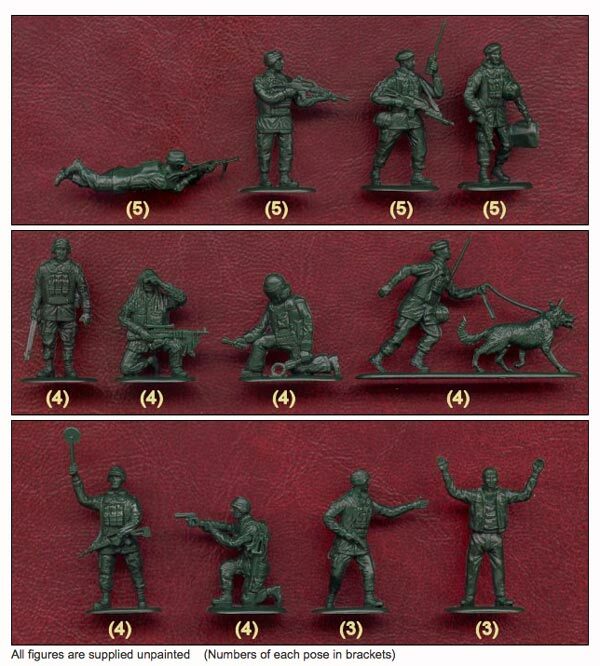 Kit features 54 figures outfitted with improved flak jackets and the G-36 assault rifle as well as other weapons.